So, Christmas is behind us, the kids were inundated with gifts, and what are they playing with the most? Cardboard boxes! 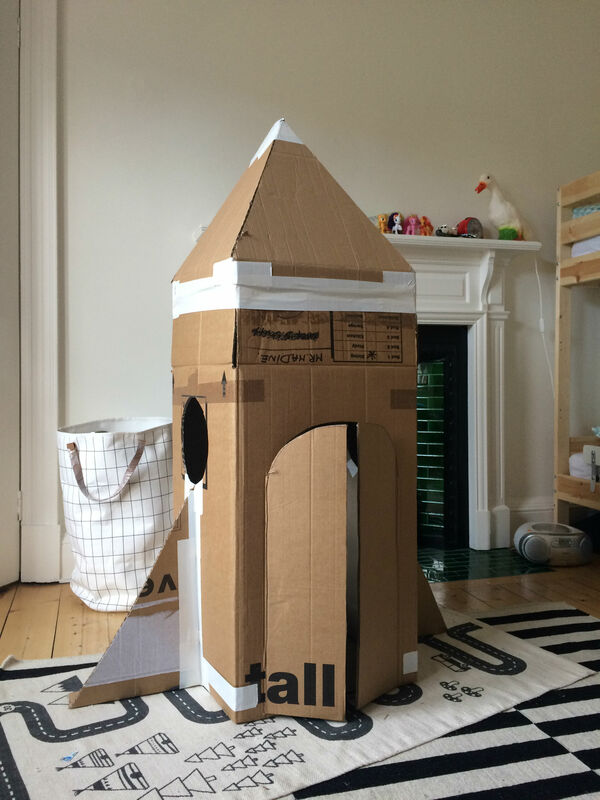 There us just something inherently attractive for kids, about letting their imagination run wild with cardboard boxed as a blank canvas – the bigger the boxes, the better. 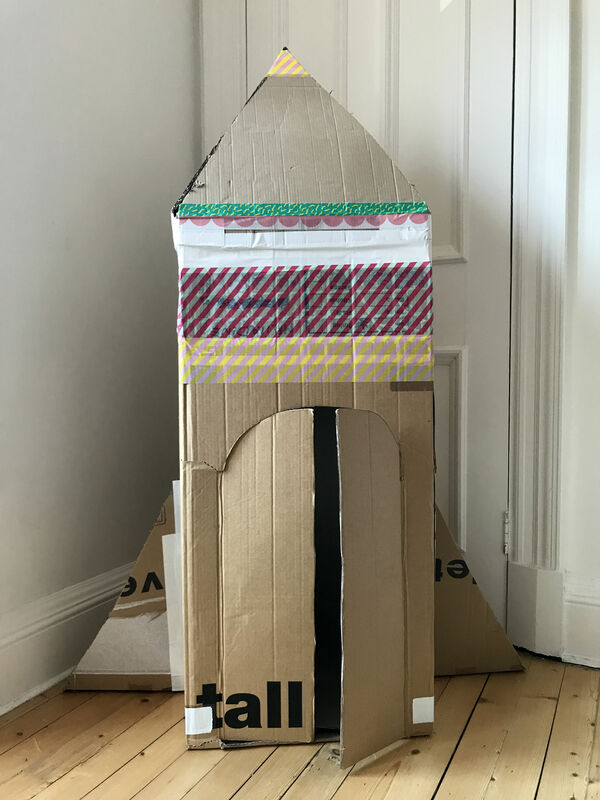 My boys particularly love building rocket ships to fly to the moon with, and today I wanted to share with you one of our most successful rocket ships to date. This is one we actually made two summers ago, when we had just moved back to Edinburgh. 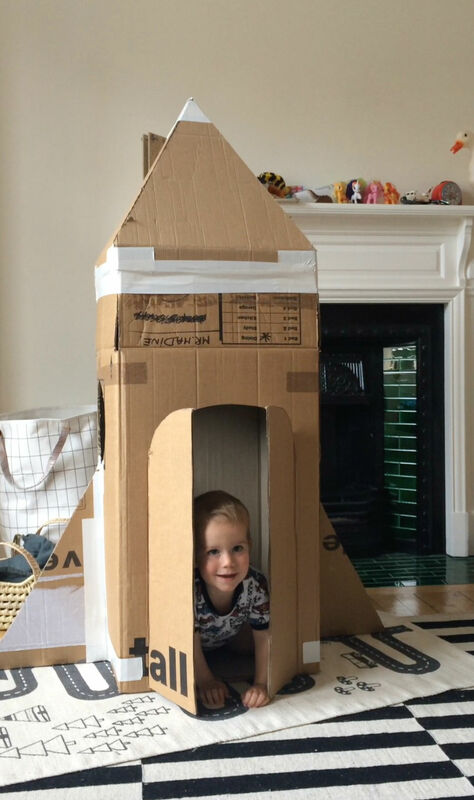 One oversized removal box, one rainy afternoon, and a couple hours later we had the most magnificent rocket ship a kid could wish for, which cost us no more than a roll of Duck tape and actually stayed with us for a whole year. I haven’t included any measurements, as it depends entirely on what kind of box you have at your disposal. 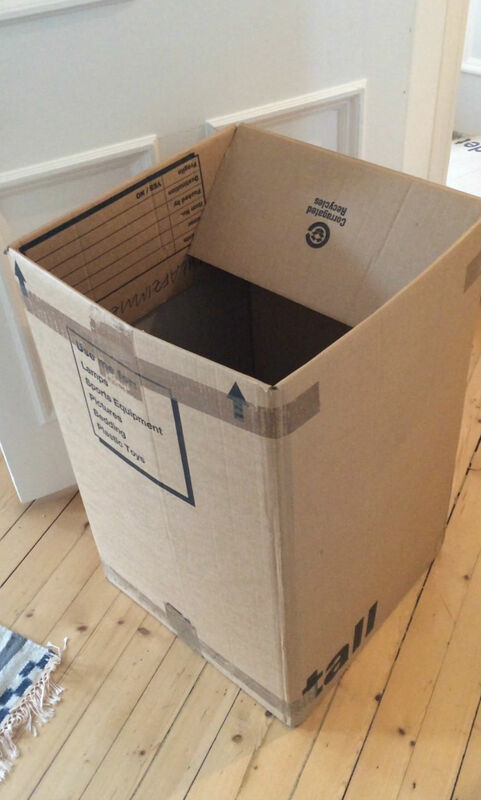 Removal boxes are great – we had an double sized one, or you could stack up two removal boxes. 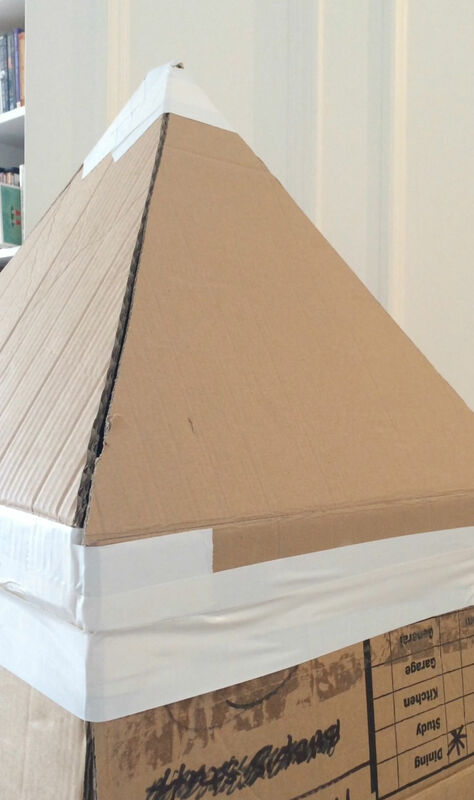 Delivery boxes for fridges or furniture are great too (unless it’s flat pack, haha). 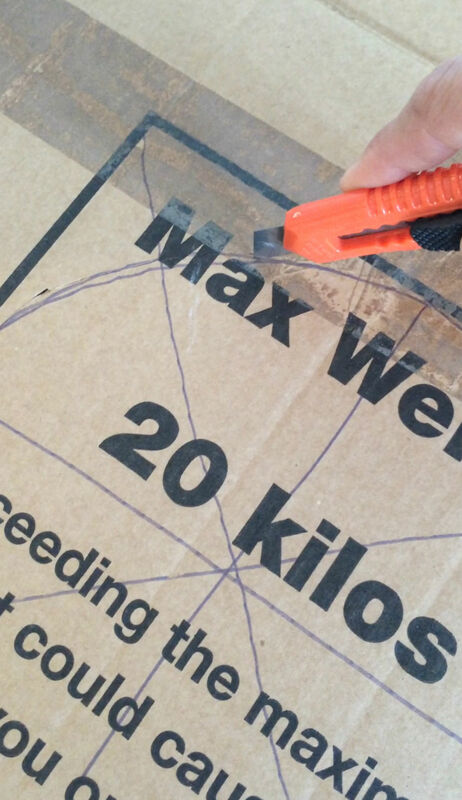 You’ll also need some additional cardboard (we cut up another removal box or this), afore mentioned Duck tape, and a craft knife. 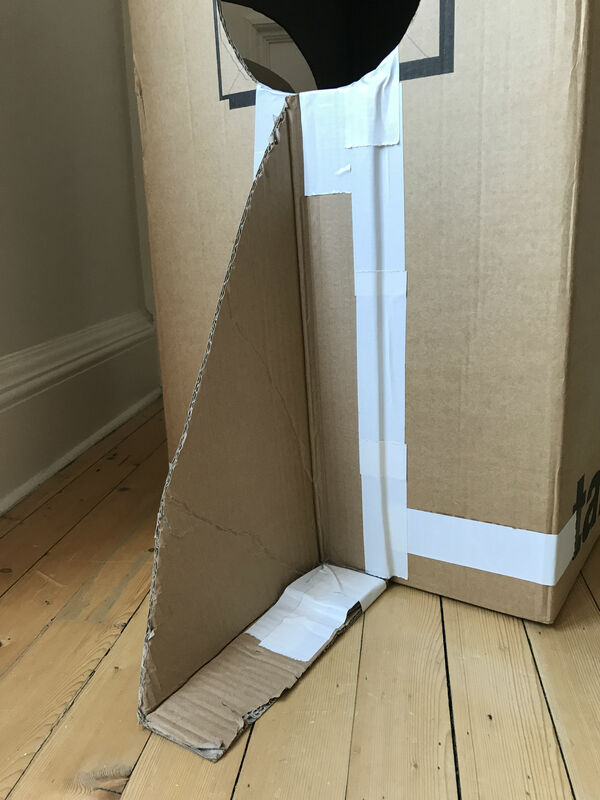 The first thing we did, to make our box even taller, was to tape up the flaps on the top of the box. 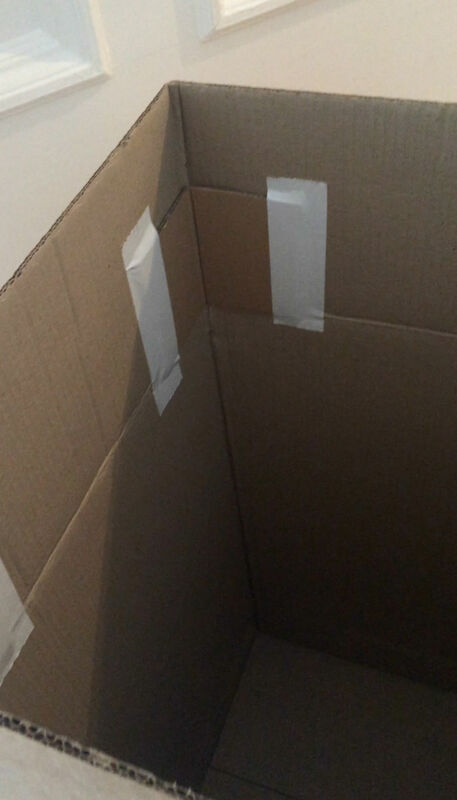 We pulled up the flaps, then taped folded strips of cardboard in to the corners to secure and stabilise them (see below). Next up was the windows. We decided on two round windows, either side of the box. And that was it, one rocket ready to fly to the moon! As you can see, we decorated it some more with some coloured tape. You could also draw on it, or paint it, whatever you please. 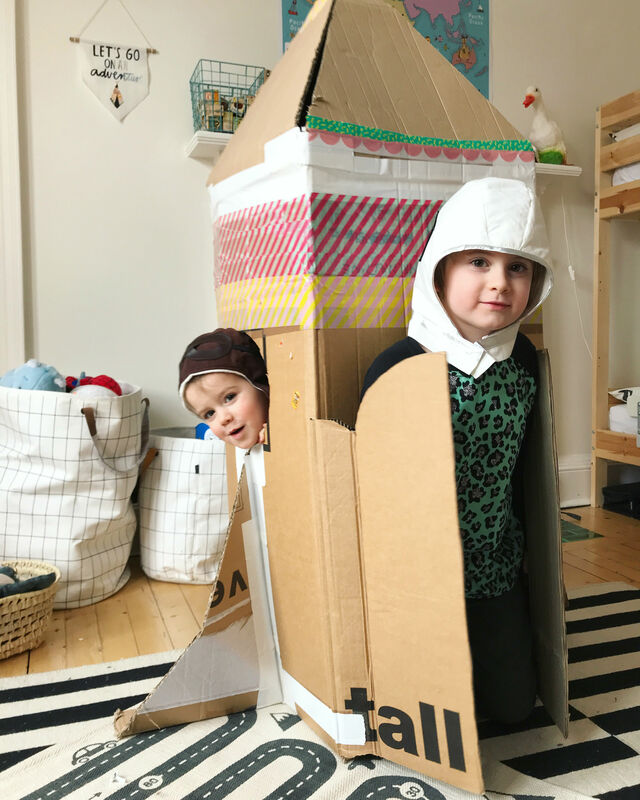 This rocket was one of the most fun projects we’ve ever done, and it was a gift that gave twice – first we had fun making it together, and then the boys had hours of fun playing with it. Of course, they had to dig out their astronaut costumes! I think if it hadn’t fallen victim to yet another house move, it might still be with us. But now we have an excuse to build a new rocket! 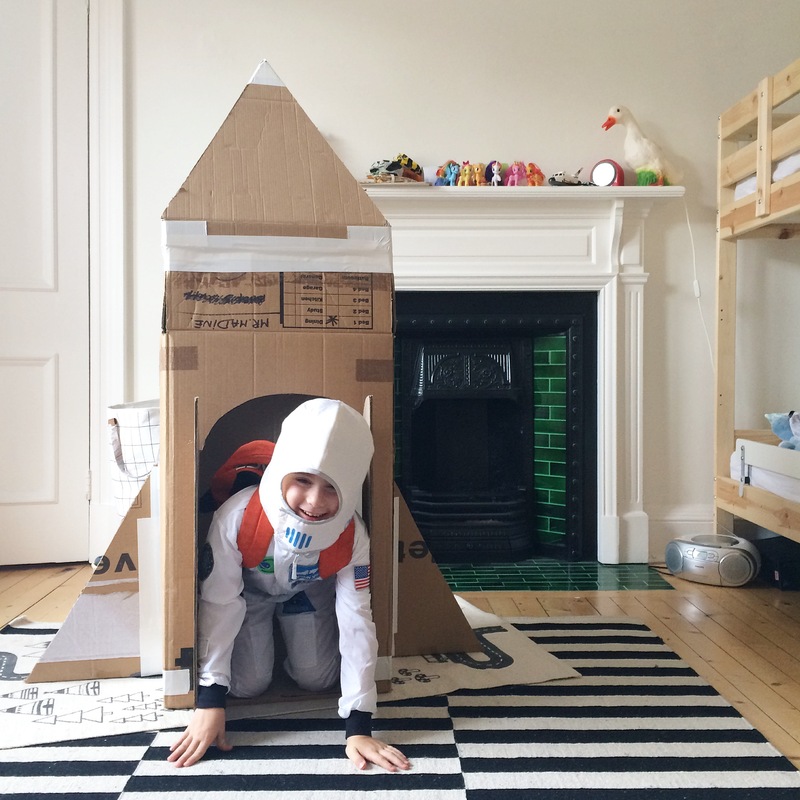 Have you ever built a rocket ship out of cardboard boxes? Or any other great cardboard box projects? I’d love to see your creations! Please feel free to share with me and tag me on Instagram or Twitter. That is one of the most amazing rockets I’ve ever seen. It really looks brilliant. No wonder the boys spent hours over months playing in it! I’m going to bear this in mind for this year’s costume party in school. This is fab and looks a great rainy day idea! Kids always enjoy playing with boxes don’t they! At 10 my eldest still gets excited by bubble packaging and insists on popping it all! 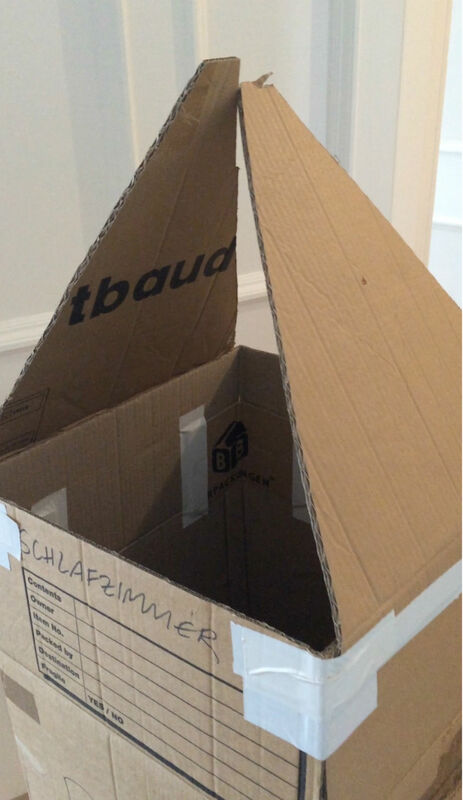 This is such a great idea – can’t wait to make this next time we have a massive cardboard box lying around thanks for the inspo! What a great way to make use of the boxes from Christmas, your boys look like they’re having a great time playing with it. My little one would love to get her paints on one of these rockets to make it super colourful. 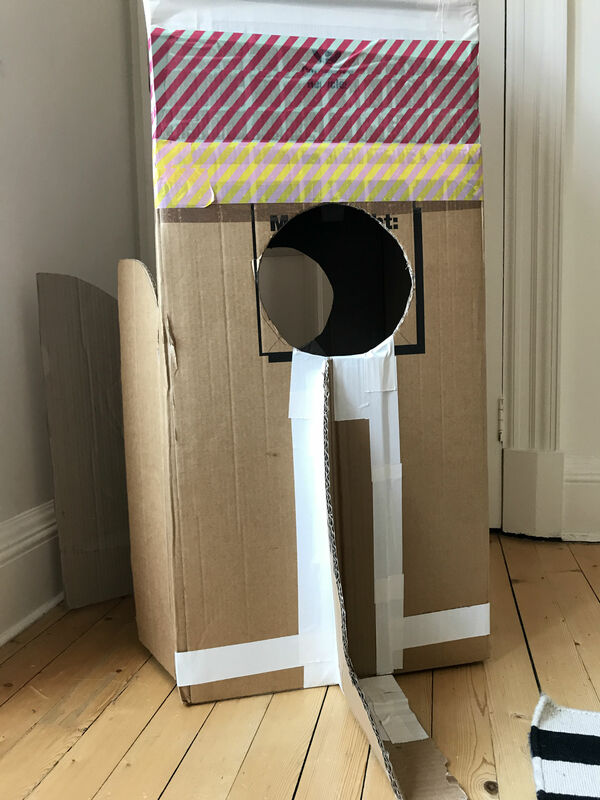 My kids love nothing more than making things out of boxes, taping them up, cutting them out – we made a pirate ship once that even I was impressed with and had lots of play! I this is my mum bought a treadmill and then my dad turned the big box into the den for me. 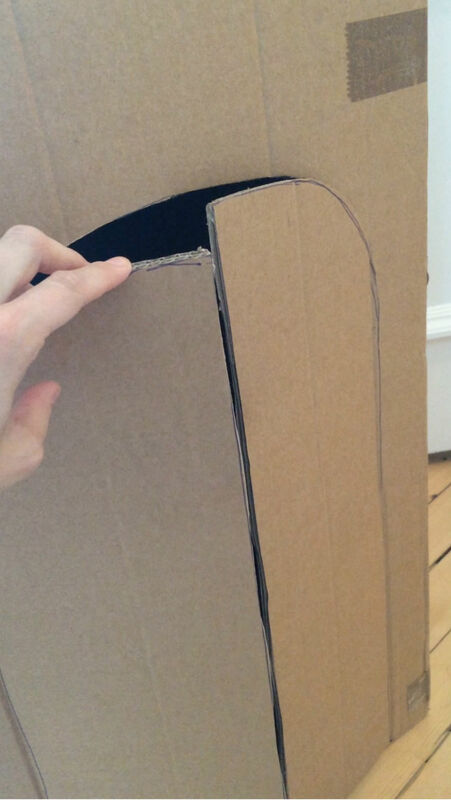 There really is nothing better than playing a Cardboard boxes when you’re a kid!